Cristina Rivera Garza is the award-winning author of six novels, three collections of short stories, five collections of poetry and three non-fiction books. Originally written in Spanish, these works have been translated into multiple languages, including English, French, Italian, Portuguese, and Korean. The recipient of the Roger Caillois Award for Latin American Literature (Paris, 2013); as well as the Anna Seghers (Berlin, 2005), she is the only author who has won the International Sor Juana Inés de la Cruz Prize twice, in 2001 for her novel Nadie me verá llorar (translated into English by Andrew Hurley as No One Will See Me Cry ) and again in 2009 for her novel La muerte me da. She has translated, from English into Spanish, Notes on Conceptualisms by Vanessa Place and Robet Fitterman; and, from Spanish into English, “Nine Mexican Poets edited by Cristina Rivera Garza,” in New American Writing 31. She was the Breeden Eminent Scholar at Auburn University in Fall 2015 and a fellow at the UCSD Center for Humanities 2015-2016. She received a Senate Grant from UCSD and the prestigious three-year Sistema Nacional de Creadores grant from Mexico. La imaginación pública/ Public Imagination (Conaculta Press, 2015) is her most recent published work. She has developed cross-genre collaborative projects with artists and composers in De Mirabilis Auscultationibus, Aristótles, o alguien que se hace pasar por Aristótles, cuenta de las maravillas escuchadas por casualidad acerca de Tacámbaro De Mirabilis Auscultationibus, Aristótles, o someone passing as Aristotle, tells about the marvelous things overheard about Tacámbaro], bilingual edition (Mexico: Acapulco Press, 2015), with artist Artemio Rodríguez; VIAJE – Azione Drammatica Musicale per quattro voci e quattro strumenti (Milan Italy: Sugar Music, 2014), with composer Javier Torres Maldonado; Ahí te comerán las turicatas [You will be eaten by turicatas there] (Mexico: Caja de Cerillos, 2013). Los muertos indóciles. Necroescrituras y desapropiación, her most recent book of criticism, comparatively explores the contemporary discussions surrounding conceptualist writing in the United States, post-exoticism in France, as well as communally-based writing throughout the Americas. She was born in Mexico (Matamoros, Tamaulipas, 1964), and has lived in the United States since 1989. She studied urban sociology at the National Autonomous University of Mexico and received her PhD in Latin American history from the University of Houston. She has written extensively on the social history of mental illness in early twentieth-century Mexico, and published academic articles in journals and edited volumes in the United States, England, Argentina and Mexico. She received a Doctorate in Humane Letters Honoris Causa from the University of Houston in 2012. 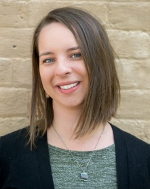 Born in Durham, North Carolina, Sarah Booker is a Spanish-to-English translator and PhD student at the University of North Carolina, Chapel Hill. Her research revolves around contemporary Latin American narratives and translation studies. 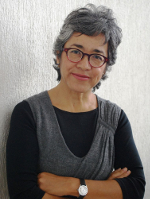 She has translated texts by Cristina Rivera Garza, Ricardo Piglia, Amparo Dávila, Margarita García Robayo, and Gabriela Wiener. Her translation of Rivera Garza’s The Iliac Crest was published with the Feminist Press in October 2017. She is the assistant editor for The Mercurian and an assistant blog editor for Asymptote. She is currently serving as a visiting lecturer in the English Literature department at the Universidad de Sevilla. This short story is a translation of “La cita”, which is a shortened story of “La ciudad de los hombres”, published in La frontera más distante.